Opioids Have a History of Being Marketed As Cures - Fact or Myth? Opioids have historically been marketed as cures for addiction, pain, and other conditions. Opioids have a long history of being marketed as cures for addiction and pain. This has contributed to the current opioid crisis in the United States. Consider, in the late 1800s, opium was marketed as a cure for alcohol addiction. 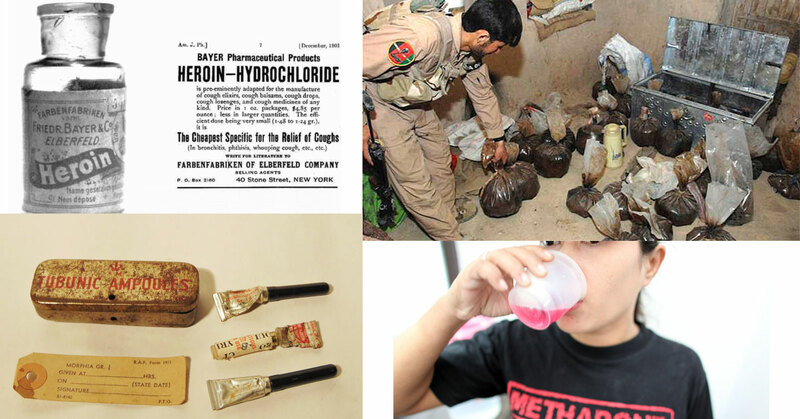 Later, heroin was marketed as a “safe, non-addictive” substitute for morphine. These are just two of several stories involving opioids being offered up as cures for addiction in history. Meanwhile, opioids were very common in the medicines of the 1800s (not just medicines for pain, but medicines for just about everything). That may seem funny/not funny in retrospect, but keep in mind today it is common to treat opioid addiction with methadone and buprenorphine (which are both opioids). Further, it is still common to prescribe opioids as treatments for both short term and chronic pain (a cure of sorts). In other words, we still commonly treat conditions, including opioid addiction and chronic pain, with opioids today. FACT: Opioids get their name from the fact that they derived from opium, a natural substance which comes from the opium poppy. They have long been used for pain treatment and recreation, but only became popular in the west in the 1800s. Why I Treat Opiate Addiction with Opiates. Opioids are still used to treat conditions like pain and addiction today. As noted above, opioids and amphetamines have long been used as medicine (and at times, even as a legal form of recreation) both in history and in recent history in the United States. In fact opioids and amphetamines became so popular in the United States that the product Coke used to have actual coke in it (that stopped after agencies like the FDA and DEA and eras like the progressive era… as progressives offered up their own cure for addictions of all types, which was prohibition). Even today many (but not all) opioids (like OxyContin and Fentanyl) and amphetamines (like cocaine) are in a different class of drugs than marijuana and LSD, as they are deemed to have medicinal uses unlike pot and ecstasy (see DEA’s drug schedule for their “logic”). This may seem absurd at first, but, as absurd as the history of drugs and their regulations are, there is some common sense to be found. The reality is few substances on earth are as effective at numbing pain as opioids. Thus, while the history of opioids addiction starts in the opium dens of the the 1800s and earlier, the history of opioids being used as a cure starts with the application of their derivatives (like morphine) as painkillers. History Channels History on Opiates. Opium (the natural version of opioids from which other opioids are derived) began being turned into morphine in the early 1800s in Germany. It was created as a medicine, not a recreational drug. Morphine then spread to the United states where it became popular by the pre-War era of the mid-1800s. Morphine was subsequently used for medical purposes as a painkiller during the mid-1800s and especially during the Civil War. For the first time in history there was an effective painkiller that could be used on the battlefield (and otherwise by doctors). That was a big deal (imagine bloody wars with guns, but without painkillers). It really wasn’t until after the Civil War of the early 1860s that there was an awareness of morphine addiction in the United States (as soldiers who came home from war ended up being addicted to opioids). Addiction consequently plagued both the North and South. After the War (the 1860s and 1870s) opioid addiction plagued the United States and there was little understanding as to how to treat it. Then, in 1874 a German doctor discovered a drug he called Heroin (yes, German’s invented both opium derivatives). Heroin seemed to cure morphine addiction, and thus it was subsequently promoted as a cure, a “safe, non-addictive” substitute for morphine. Heroin remained popular and legal, as did other opioids (as did amphetamines like cocaine), all the way until the early 1920s. In this time opioids were even offered up as cures for alcoholism (which was an even bigger problem than opioid addiction). In the U.S., it wasn’t until the 1920s when Congress recognized the danger of opioids and amphetamines and enacted the Dangerous Drug Act. This period is notably during prohibition (a time when not only drugs, but alcohol, gambling, and even pinball were banned). The story doesn’t stop there of course. For one, opioids (specifically morphine) are still used on the battlefield as a painkiller. Odd as it may seem, opioids are still one of the only effective treatments for severe pain. Further, opioids are still being pushed as cures for addiction (specifically opioid addiction). Those who seek help with opioid addiction today are given a choice: Methadone, buprenorphine, and naloxone. Methadone and buprenorphine are opioids, naloxone is an opioid blocker. In other words, you either go cold turkey, use naloxone, or you treat opioid addiction with more opioids here in 2017. Hopefully as you can tell, as we deal with this issue moving forward, that what seemed an absurd headline (opioids offered as cures for addiction), is actually an ongoing and old problem. Likewise, people becoming drug addicts due to using opioids for pain use, that is an ongoing and old problem as well. We can act like we didn’t know what the ramifications of widespread OxyContin prescriptions would be. However, that would just be an act. We all had access to the history books, and we made a choice anyways. It isn’t a simple subject, but we shouldn’t act like we are unaware of the history of opium and its derivatives. In some ways, very little has changed. Today, just like in the 1800s, it is common to promote opioids for their benefits (often downplaying their risks). This repeating pattern has led to eras of opioid addiction more than once in U.S. history. Currently, here in 2017, we are in such an era.